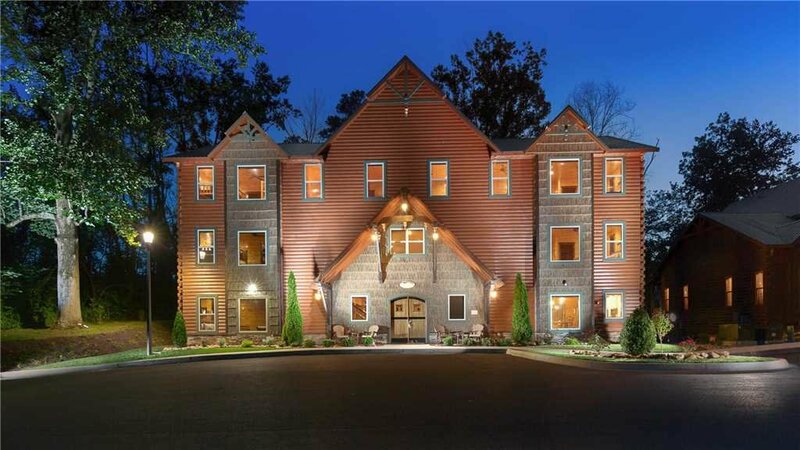 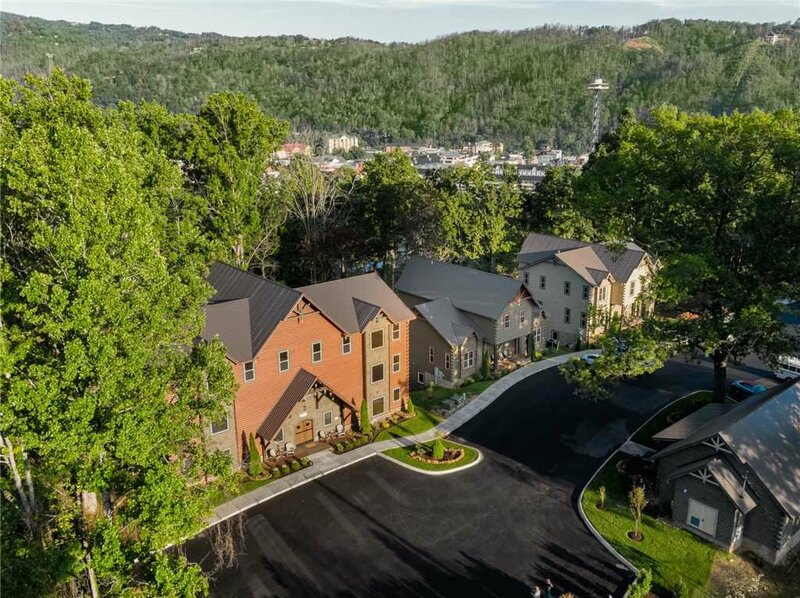 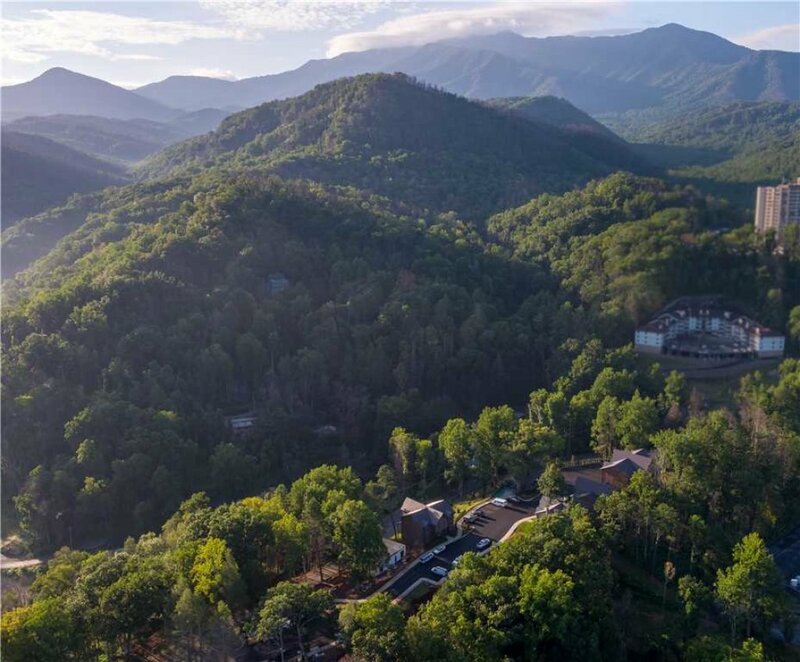 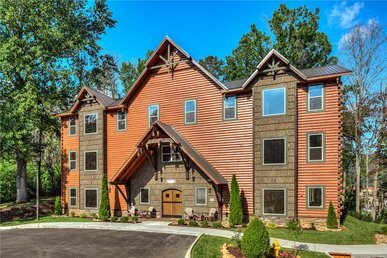 A luxury Smoky Mountain getaway awaits you at the Grand Orchard Lodge. 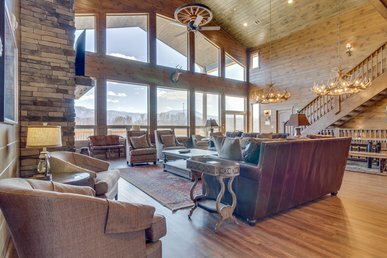 Become in awe of the massive windows, open gathering space, and expansive ceilings, inviting the beauty of the nature outside in. 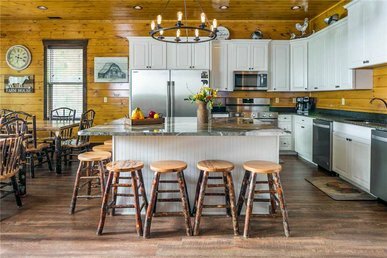 The lodge’s main level includes relaxing gathering spaces, secluded oasis’s, and a chef’s dream kitchen. 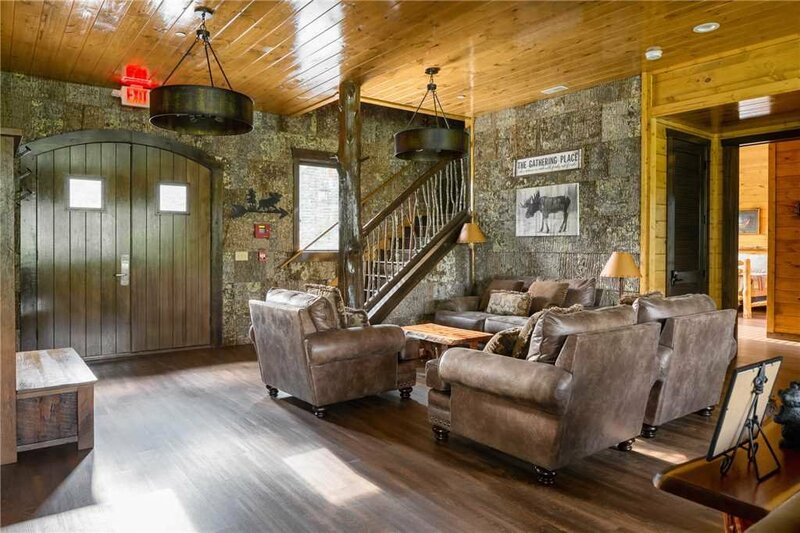 The gorgeous three-sided fireplace – open to the living room, the dining room, and kitchen– comforts the home and allows for beautiful group gatherings. 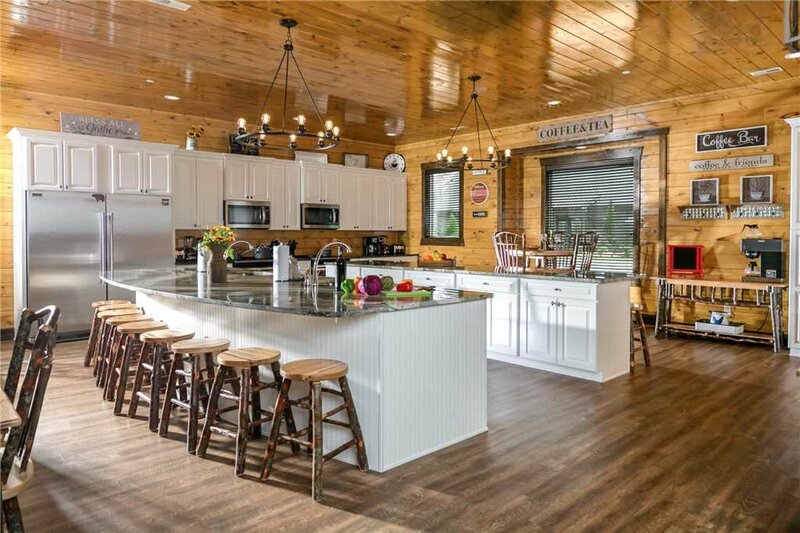 In the home’s kitchen, cooks will revel in the custom cabinetry, granite countertops, and stainless appliances. 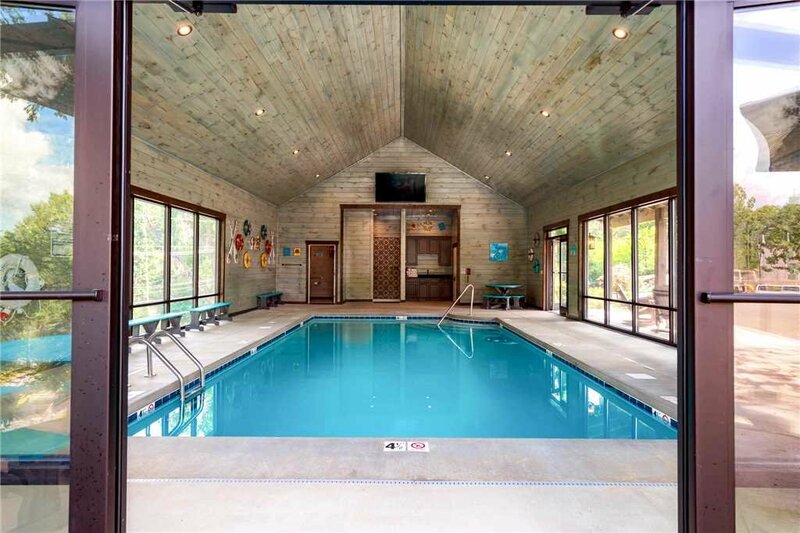 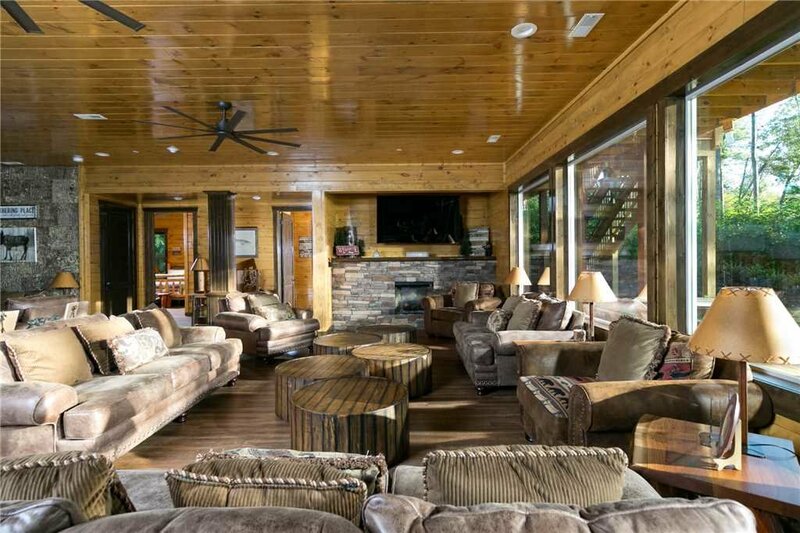 Two furnished covered decks with hot-tubs and an open lawn area surround the wood-paneled exterior walls. 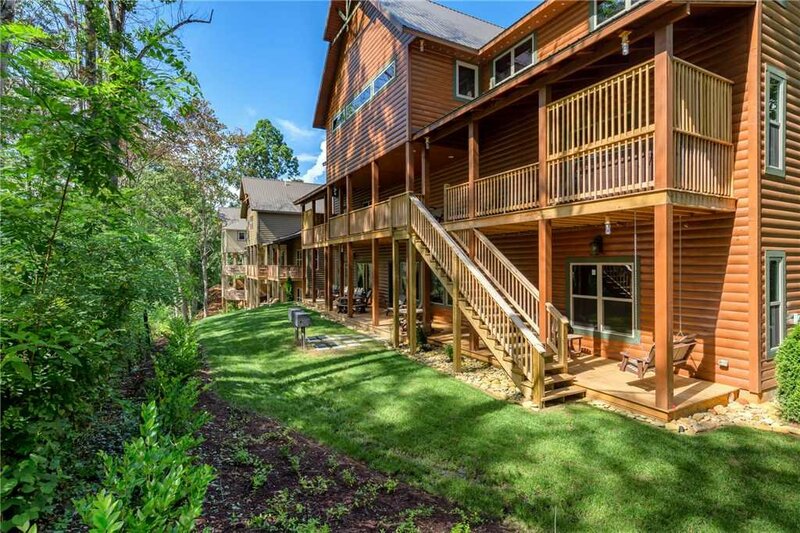 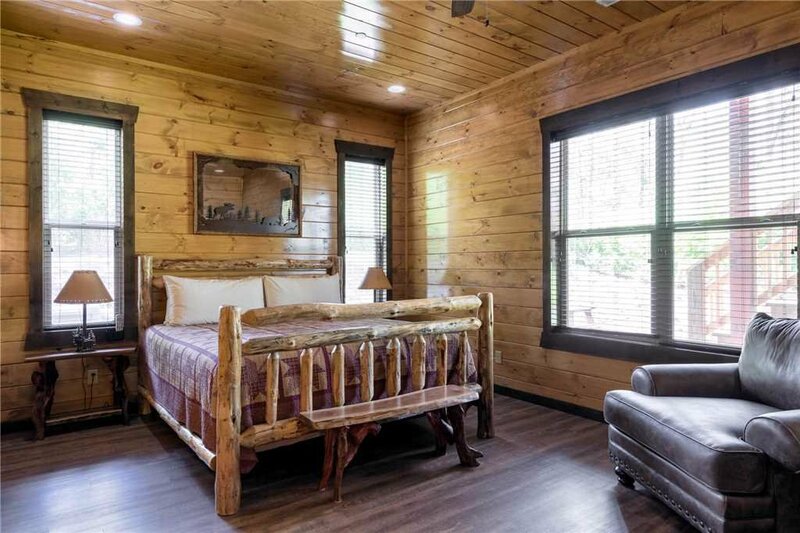 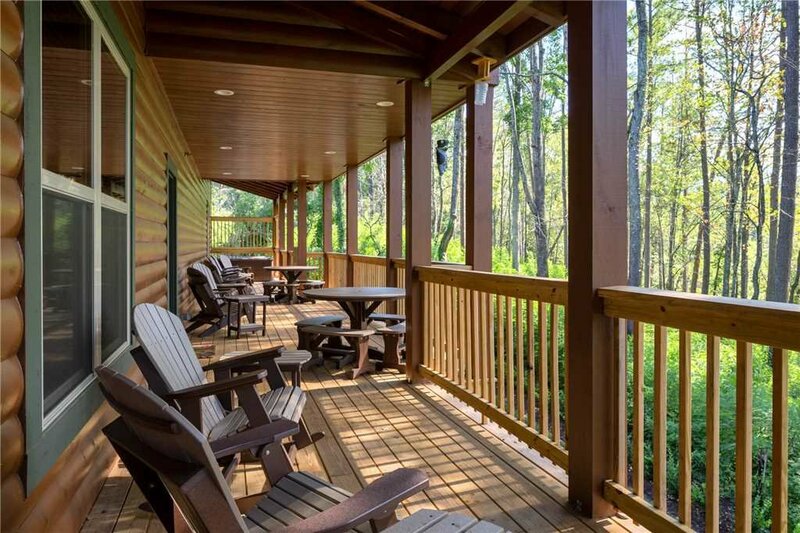 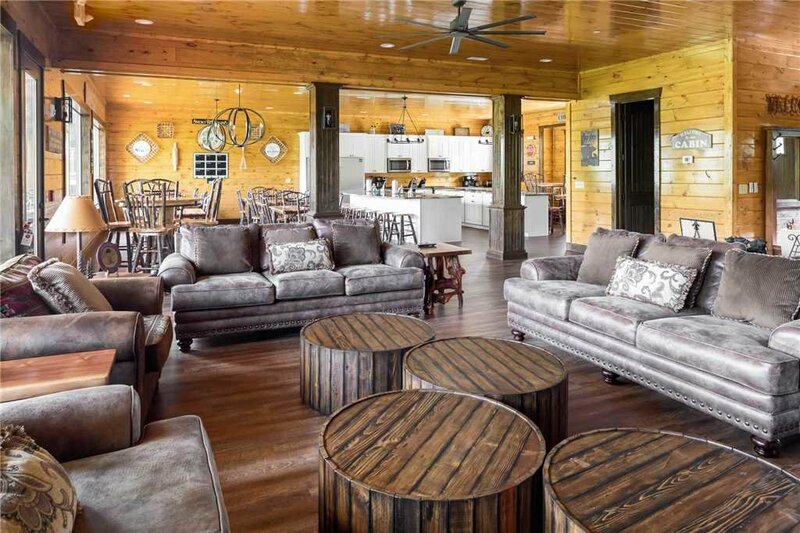 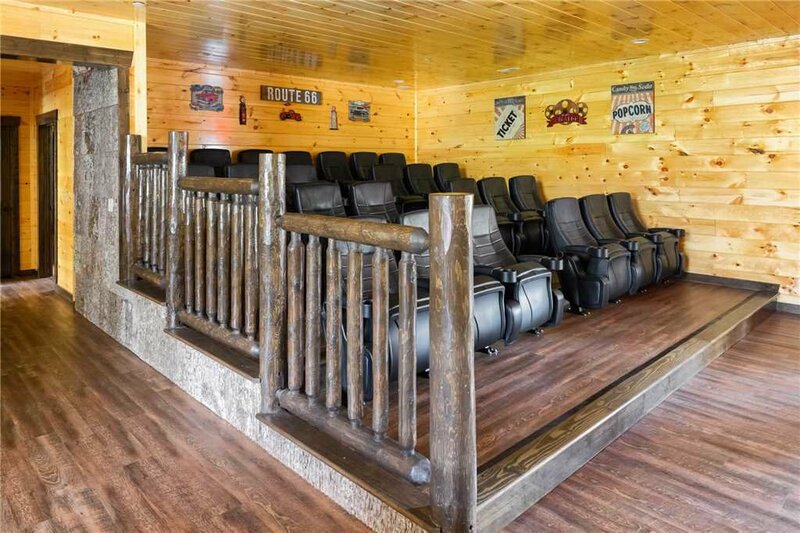 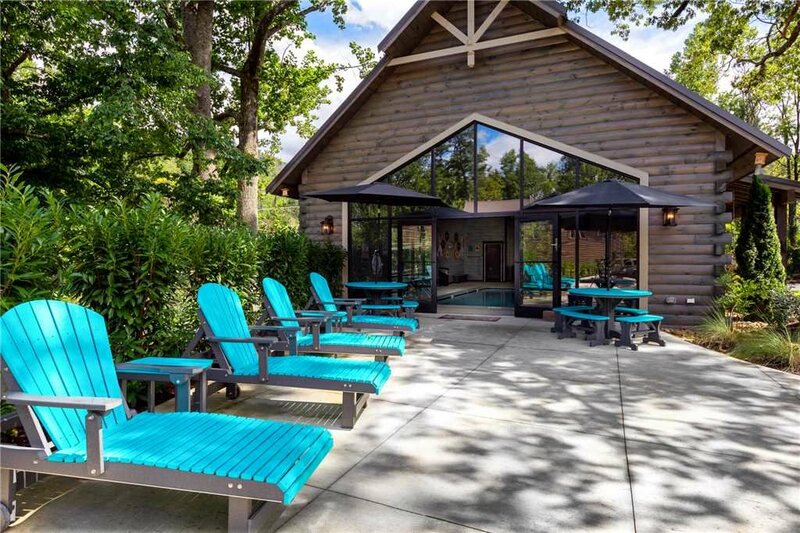 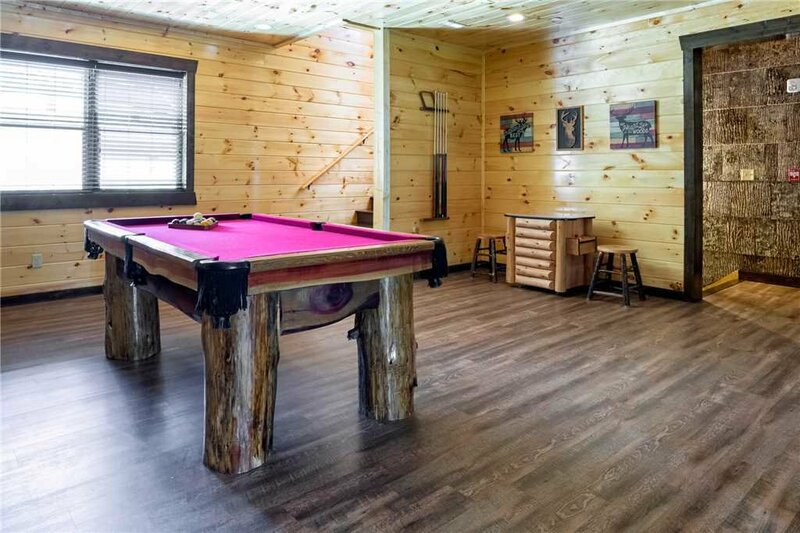 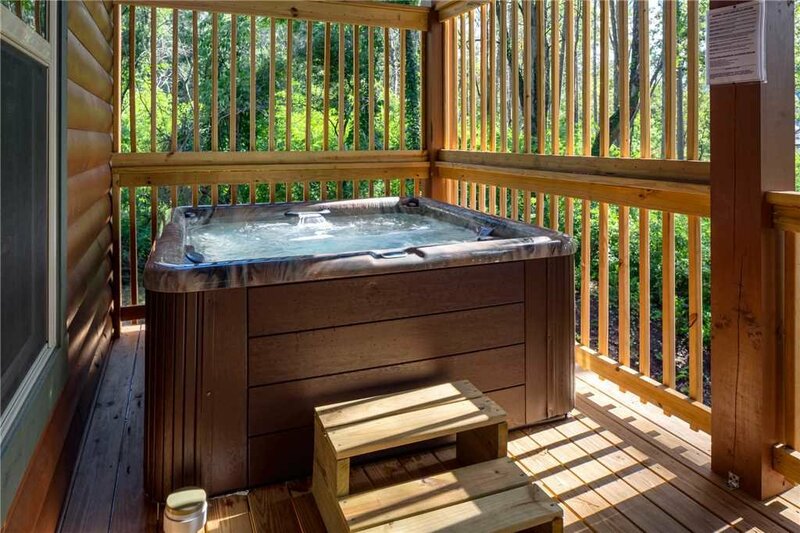 The spacious deck is a great place to enjoy Cherokee Orchard’s gorgeous Smoky Mountain views and connect back to nature. 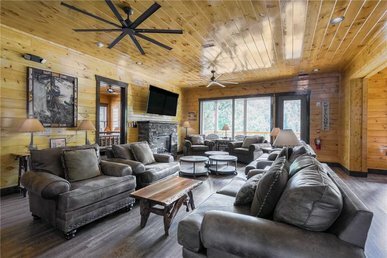 Boasting 17 king suites, and three queen-sized bunk rooms, this expansive classic lodge comfortably accommodates 96 guests. 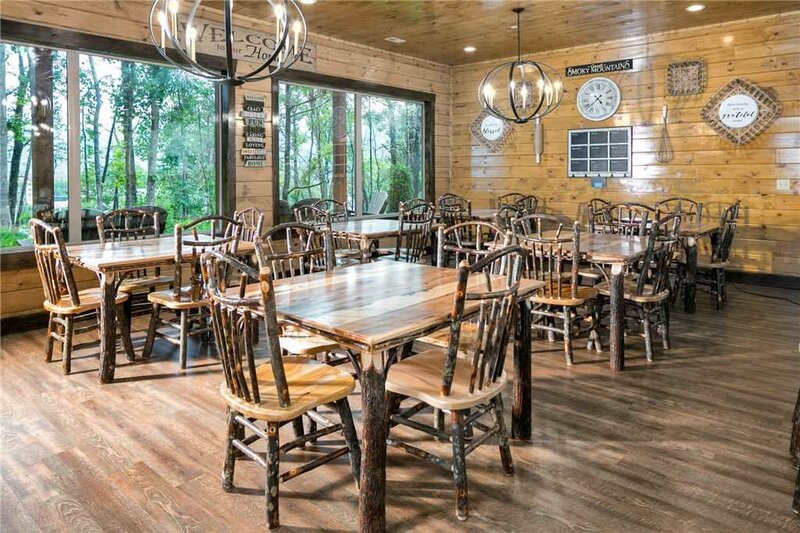 With so much spaces, guests can take advantage of the private seating area, perfect for finding tranquility away from the group. 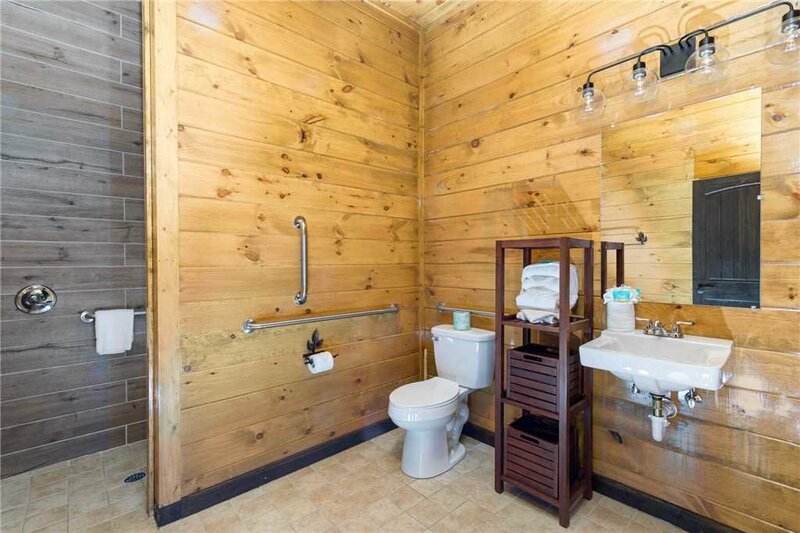 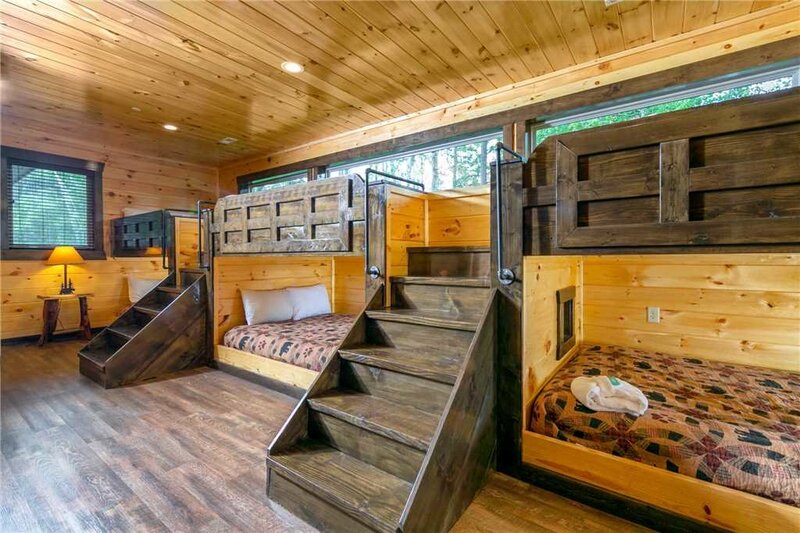 The main level offers one handicap-accessible bedroom along with a private bath.